Posted on Jul 1, 2015 by Appleton Downtown Inc. 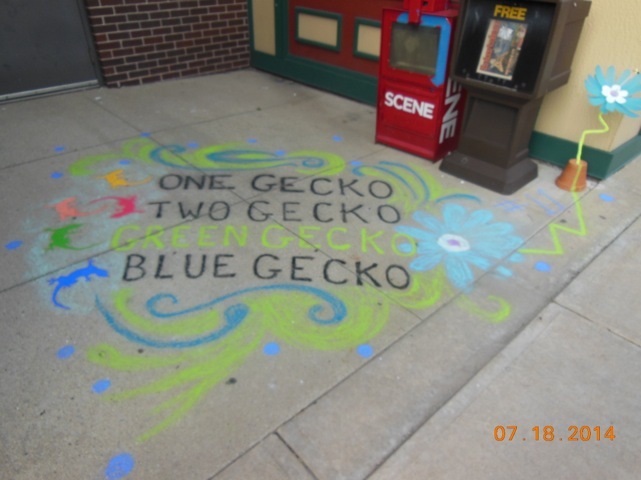 Kudos to Appleton Downtown for bringing Chalk on the Town to our monthly Art on the Town event. I have watched it grow in participation and talent, and truly enjoy seeing how the creative minds interpret the chosen theme. 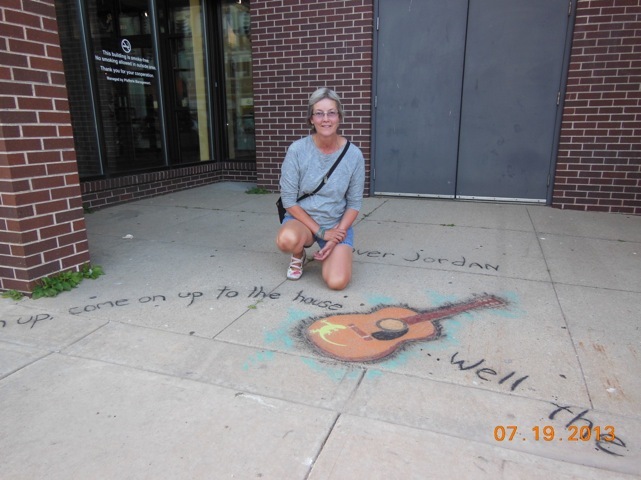 There are some very talented people who know how to use the chalk medium, that result in beautiful drawings on our downtown sidewalks. On the other hand, the event also draws kids and families and anyone willing to pick up some chalk and get down on their hands and knees. I appreciate that it is all inclusive. I wish I could include myself in that pool of experts, but I can’t. Though I have taken part in the event for three years, and will join again next month, my drawing will again be simple. You see, although I have a creative mind and artistic talents, I rarely draw. Once a year to be exact, on the third Friday in July. Talents lacking, it is a challenge, but one I’m up for again this year. I will park myself in front of City Center and give it a shot. Bob and Meg from the Green Gecko are my cheerleaders and they see to it that I am fed and well hydrated. In return, my drawing always includes their gecko logo. They’re good friends and we make a great team. Chalk fun for the whole family all day! 2-4pm for kids in Houdini Plaza. This year's chalk theme is "Summer In The City".